The second story of The Sign Tracker Trilogy follows the adventures of a raccoon family living in the Eastern Woodlands and depicts the early stages of the drug addiction process. Lepus, the youngest son of the raccoon character, Sign Tracker, is offered an extremely rewarding but venomous potion in a vial spun of silk. Lepus enjoys the potion’s intoxicating effects and his raccoon mind becomes preoccupied with getting his paws on more. In the presence of the vial, Lepus is powerless to restrain himself. Descending into the abyss of excessive drug use, his health deteriorates, he loses his free-will, and the rings on his tail fade away. Interested readers are invited to visit the educational website, www.tailoftheraccoon.com, where they will find Supplemental Readings. In addition, an Educational Commentary and a Scientific Commentary explain how casual drug use leads to the development of Sign-Tracking, which causes drug-taking to become excessive and poorly controlled. Also explained are the components involved in the ritual use of drugs that contribute to the development of Sign-Tracking of drug-taking, as well as the factors that make it difficult to discern. 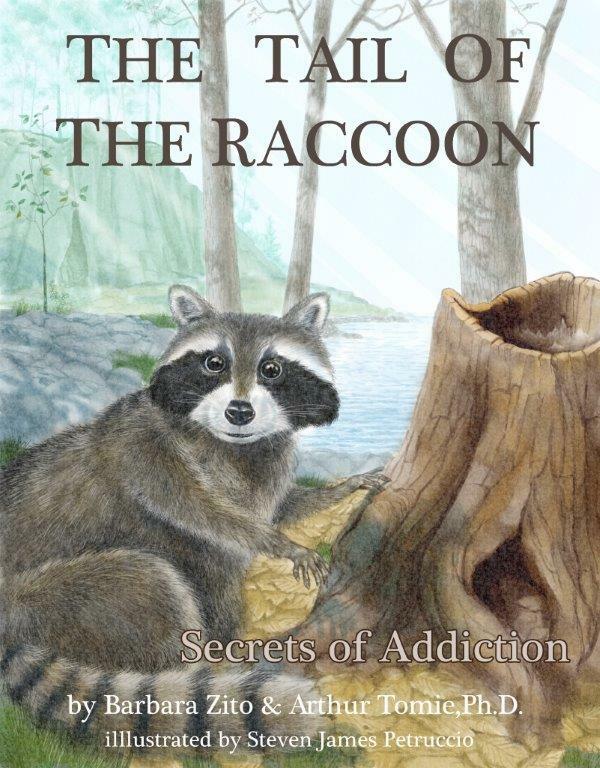 The lesson of the first story, “The Tail of the Raccoon: Secrets of Addiction”, is that the disconnect between action and intention is due to Sign-Tracking, which develops as a result of experience with pairings of an object and a reward. The lesson of the second story, “The Tail of the Raccoon, Part II: Touching the Invisible”, is that when the drug reward is placed inside the object used to consume the drug, then the Sign-Tracking that develops will be invisible, because it will readily pass for intended drug-taking. Thus, what appears to be bad decision-making is, in reality, action that is disconnected from intention. And, that is why the drug abuser is “powerless” … that is why making the decision to stop or to quit is meaningless.